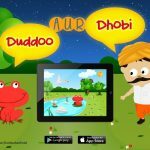 Pardesi Media based out of United States has released a free interactive app “Urdu Ustad” that introduces kids to Urdu alphabets and words. The original audiences of the app were families who immigrated to non-Urdu speaking countries, and needed ways for their kids to stay connected to their culture and language. Recently majority of downloads have come from Pakistan! Urdu Ustad was specifically designed keeping the interactive nature in mind. 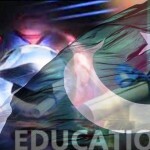 The app uses images, sounds, animations, games and puzzles to teach Urdu alphabets. Kids can interact with colorful images on the screen by making a monkey dance, dragging the cheese around to make the mouse follow, popping balloons, solving puzzles, coloring pages, matching pictures and completing mazes etc. All these interactions help them create associations between alphabets, words, images and sounds. The entire screen also acts like a writing pad, and can be used to practice the alphabets and words in different colors. Clear narrations of each alphabet and word have been recorded by very experienced media professionals from Islamabad. Check out the promo video on Youtube or Dailymotion. Urdu Ustad is available for download on both Apple and Android devices. 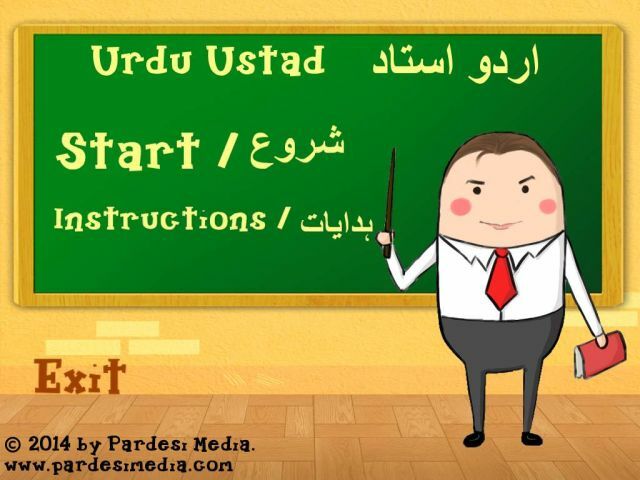 Urdu Ustad is first in a series of interactive books that helps teach Urdu language to kids. More such apps are in development and will be available for download soon. For more information about Urdu Ustad please check the Pardesi Media website or their facebook page.